The European Central Bank may force their hand, but Switzerland’s response could be a boon for some. Informed Americans are not the only ones alarmed at recent actions from Western central banks, much of which continues to enable the profligate spending from their respective, runaway governments. To be sure, it is not just our own Federal Reserve. The European Central Bank (ECB) is about to put the Fed to shame with its own version of Quantitative Easing. Since June, the ECB has engaged in what some would call “Quantitative Easing Lite”, with ultra-low interest rates, a negative interest rate on bank deposits and other measures. The European economy is not responding to the “stimulus”, but instead of accepting the fact that stimulus is not the answer, ECB President Mario Draghi continues to flirt with the outright buying of government bonds. Never mind that the strategy hasn’t worked for the U.S., Japan or the UK – prime examples to look to and learn from. The ECB is poised to follow us like lemmings right off a cliff. Central banks everywhere are determined to DO SOMETHING. What they can’t seem to grasp is that economic recovery is not in the hands of a bank. Long-term economic prosperity is not achieved through currency tricks and manipulation. Real prosperity is based on a solid, predictable, stable and free business environment, one in which taxes and regulation are not so onerous as to keep entrepreneurship out of reach, one in which contracts are honored in courts, and cronyism is kept at bay. It’s based on an environment where bad management results in failure, and good management is rewarded with opportunities to expand. If any country truly wants to recover and prosper economically, all they have to do is honor those principles. Instead, our governments and banks have been doing the opposite, somehow expecting crony bailouts to save economies. While we’ve been bailing out auto companies, banks and insurance giants, the ECB has been bailing out small countries, like Greece, Spain, Ireland, Italy and Portugal. This understandably alarms the more prosperous EU member countries like Germany, who have to shoulder most of the load. It even prompted a campaign to repatriate all of Germany’s 3,396 tonnes of their gold reserves, the second largest holding in the world. 45% of Germany’s reserves are held in the United States by the Federal Reserve, but efforts to get it all back resulted in only 5 tonnes being sent back before Germany finally gave up. Germany instead settled for sending auditors to check in on it and make sure it was all still there. They assured Germans that everything was fine. But why it is not available for repatriation is not exactly clear. So Germans wanted their gold back in the wake of massive bailouts and economic stimulus so they could feel better about their bank and the Euro. They got patted gently on the hand and were told not to worry their pretty little heads. Trust us, everything is fine… America is taking great care of Germany’s gold reserves. Now, Switzerland – not an EU member – is also alarmed about their bank’s gold holdings, and very understandably so. Their currency was pegged to the Euro this year, so in many ways now, when the Eurozone sneezes, Switzerland catches a cold. The Swiss have a distinguished and proud history in banking, privacy and respect for gold. But since 2000, Swiss central bankers have sold off over half of their reserves. The American IRS has basically destroyed their elite banking reputation, a housing bubble is forming and with a currency pegged to the Euro, the Swiss are beginning to get alarmed at taking on all of this baggage after throwing away everything good about Swiss banking. 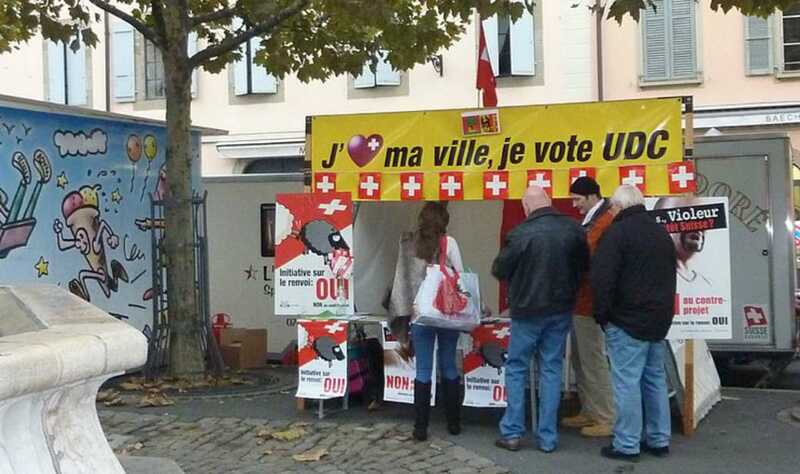 Now, at the end of November, Swiss citizens will vote on whether or not to repatriate their own gold. Included in the measure is a stipulation that their bank hold a minimum of 20% of their assets in gold, which has the effect of restricting further money printing and partially backing the Swiss franc with gold. This would be huge for the Swiss. It would be a giant leap toward restoring confidence in their badly damaged currency and banking system. It would once again make them a leader in sound money and finance. It could also spur demand, as buybacks would be required of the Swiss bank. Longer term, perhaps other countries would be forced to follow suit in some way, spurring demand for gold even more. At Birch Gold Group, we’ll be following this campaign and vote very closely in the coming weeks, and will alert our clients to any significant turn of events. The implications will be widespread and could be very positive for the future of the global economy. It is wonderful that the Swiss system allows their people to have a say in this way and that they are taking full advantage. If only our own Federal Reserve System was similarly accountable to the people it plunders. One only has to look at the Herculean and ill-fated efforts to simply audit the Federal Reserve to understand how unaccountable it really is. Keep a close eye on these events, or simply Like our Facebook page to get the latest news. And when you’re ready to get started with precious metals, we’re here to help.